Whether you’re a young, proactive blogger, a prolific Facebook poster, an occasional Twitter user or a compulsive promulgator of cat photos, someone you don’t know is watching you. 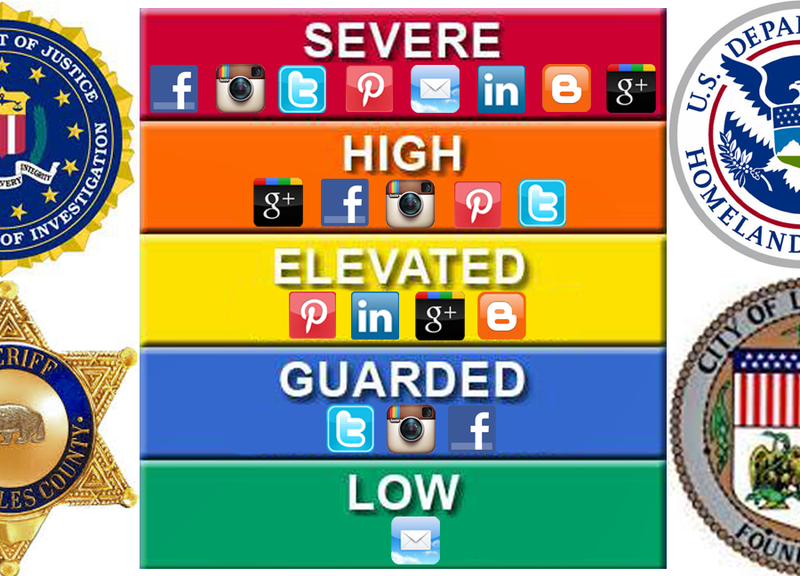 Social media activities are being meticulously recorded, scanned and organized to determine your “threat level” that is then transmitted to various law enforcement agencies. For example, your local police department is likely using numerous tools and applications that might determine how you get treated during a routine traffic stop, or in response to your neighbor’s call about loud music. One such application, Beware, has been sold to police departments since 2012. It can be accessed on any Internet-enabled device, including tablets, smartphones, laptop and desktop computers, while responders are en route to, or at the location of a call. For example, you wrote something about recent Ferguson protests on Facebook. Perhaps, you expressed dissatisfaction with police brutality. Maybe you complained about the CIA’s torture tactics, demanded President Obama’s impeachment or criticized the government in general. You could have shared a petition for the preservation of gun rights, or bought a holster online. You could also be mistaken for another person with a criminal record or a history of radical Internet postings. It could mean the difference between waltzing off with a warning, or being subjected to a brutal takedown at gun point. It could turn a simple knock at the door into a full-blown SWAT raid. Deeming someone a public threat is a serious designation, which could lead to selective enforcement or snap decisions about the use of force. This “predictive policing” and “threat assessment” could cause law abiding citizens to think twice before openly expressing themselves on social media, to avoid malicious investigations, police brutality or retaliatory fishing expeditions, based on unfair prejudgment. The chilling effect upon the exercise of First Amendment rights, as well as privacy concerns and potential life and death implications, make this “threat assessment” program a real threat for all citizens.